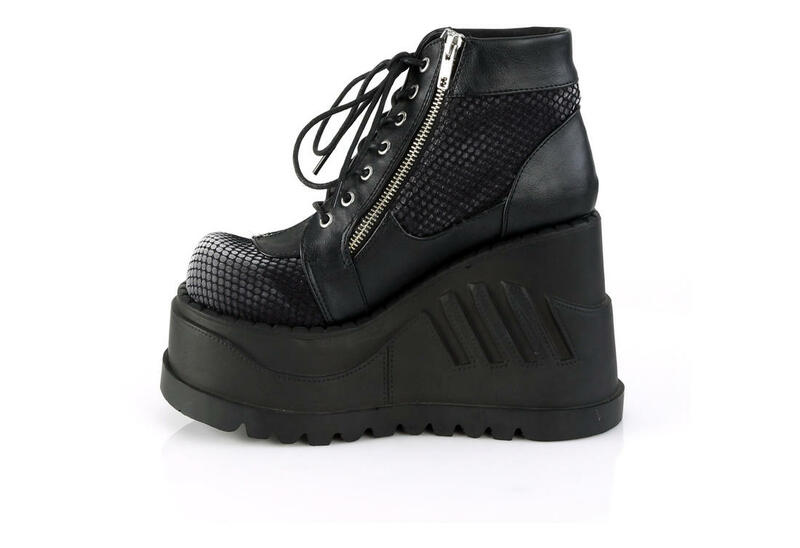 How cool are these! 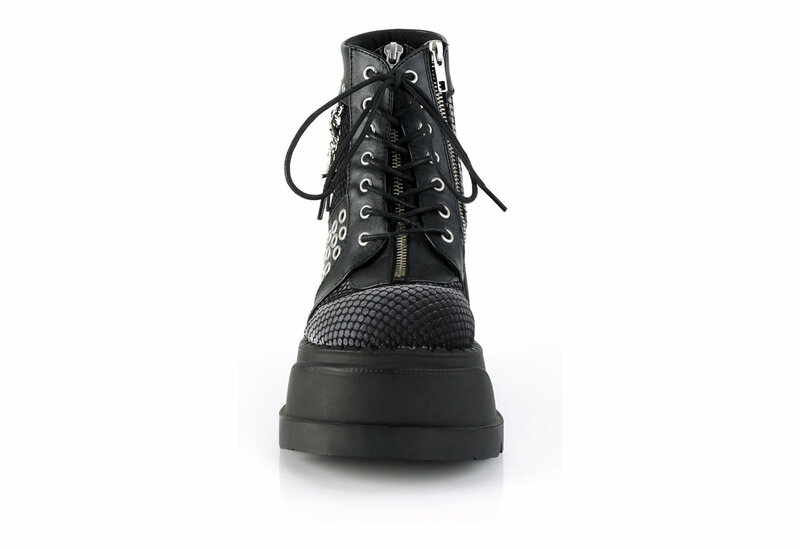 The Stomp-18 in black is made from black vegan leather with grey velvet overlaid with fishnet. 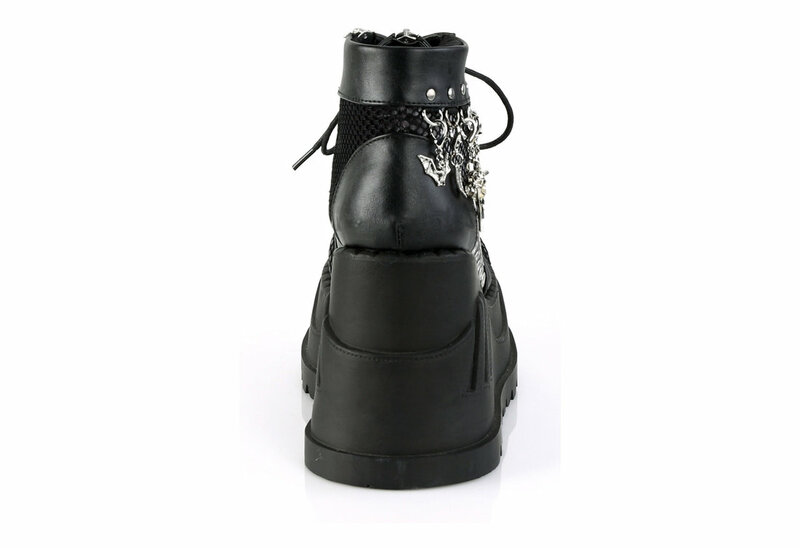 The front has a non-functioning zipper on the tongue because it just looks cool and the stomps also have a side inner metal zipper so you can take them on and off. 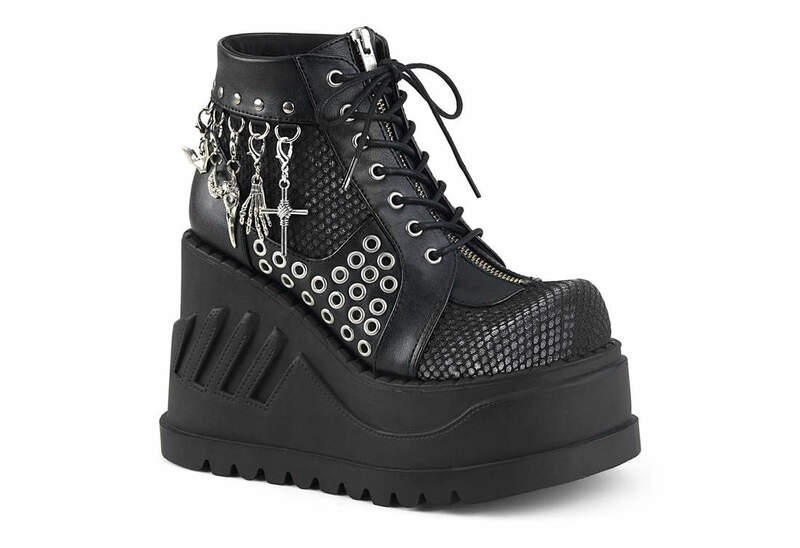 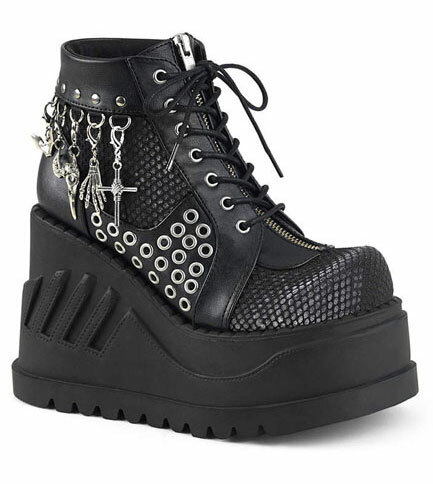 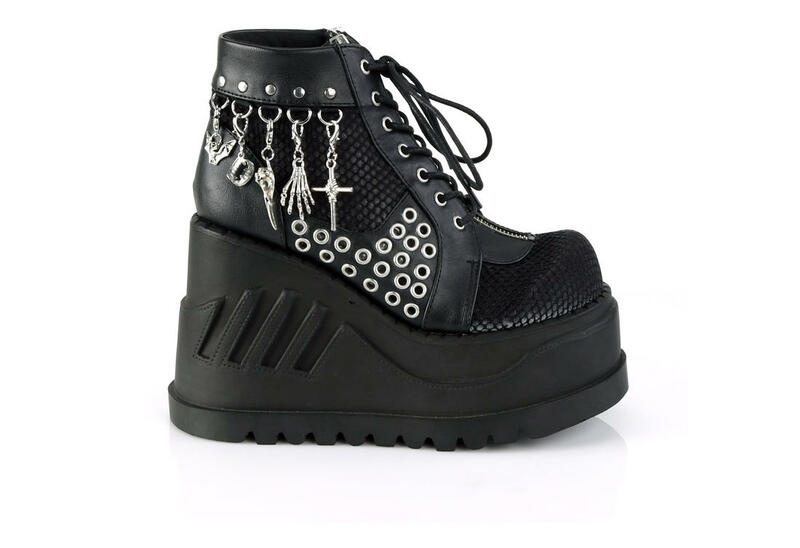 These boots feature a 4 3/4 inch wedge platform and has lots of spooky charms around the ankle.